John LEFTWICH was born on 3 Apr 1818 in , Morgan, Georgia. He died on 7 Jul 1857. John married Nancy A. MITCHELL in 1859. Nancy A. MITCHELL was born on 2 Dec 1816 in , Morgan, Georgia. Nancy married John LEFTWICH in 1859. F i Mary Ann Rebecca LEFTWICH was born on 20 Aug 1844. She died on 2 Sep 1869. F ii Sarah Matilda "Sally" LEFTWICH was born on 25 Aug 1850. She died on 28 Jul 1917. James George CLOTFELTER [Parents] was born on 27 Oct 1847 in Conyers, Rockdale, Georgia. He died on 28 Jul 1909 in , Jefferson, Alabama. He was buried in Walnut Grove Cemetery, Brighton, Jefferson, Alabama. James married Louisa Matilda HOLLINGSWORTH on 14 Oct 1869 in , Fulton, Georgia. Louisa Matilda HOLLINGSWORTH [Parents] was born on 9 Feb 1853 in , Newton, Georgia. She died on 8 May 1933 in Bessemer, Jefferson, Alabama. She was buried in Walnut Grove, Cemetery, Brighton, Jefferson, Alabama. Louisa married James George CLOTFELTER on 14 Oct 1869 in , Fulton, Georgia. M i Robert Lee CLOTFELTER was born on 19 Dec 1870. He died on 14 May 1916. M ii Dr. Martin Luther CLOTFELTER was born on 13 Jul 1873. He died on 15 Jun 1932. M iii George Morton CLOTFELTER was born on 27 Sep 1875. He died on 1 Sep 1902. M iv James Wayman CLOTFELTER was born on 25 Sep 1879. He died on 27 Sep 1955. M v Emory Wilson CLOTFELTER was born on 7 Aug 1882. He died on 21 Sep 1926. F vi Leila Frances CLOTFELTER was born on 23 Feb 1885. She died on 23 Dec 1961. M vii Selly Thomas CLOTFELTER was born on 28 Jul 1887. He died on 13 Jan 1940. F viii Ada May CLOTFELTER was born on 1 Nov 1889. She died on 26 Feb 1965. F ix Olivia Virginia CLOTFELTER was born in 1890. She died on 12 Sep 1962. "Little Sissy" CLOTFELTER was born about 1892 in , Jefferson, Alabama. She died about 1892 in , Jefferson, Alabama. She was buried in Smyrna Camp Ground Cemmetery, , Jefferson, Alabama. George Able CLOTFELTER [Parents] was born on 23 Oct 1815 in , , North Carolina. He died on 6 Mar 1886. George married Charlotte "Lottie" KEEN on 18 Jan 1838 in , , Georgia. Charlotte "Lottie" KEEN was born on 22 Feb 1816 in Johnston, North Carolina. She died on 11 Nov 1878. Charlotte married George Able CLOTFELTER on 18 Jan 1838 in , , Georgia. John Wesley CLOTFELTER was born in 1837 in , , Georgia. 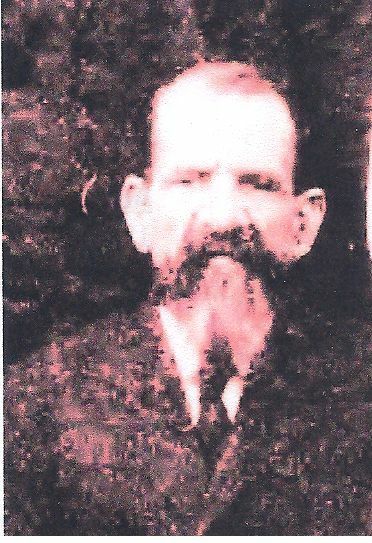 James Wilhoit CLOTFELTER was born in 1838 in , Henry, Georgia. F iii Mary A. CLOTFELTER was born on 25 Sep 1839. She died on 17 Oct 1923. M iv David Felix CLOTFELTER was born on 3 Aug 1841. He died on 31 Mar 1910. 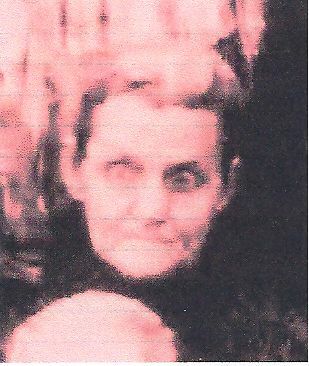 Sarah Jane CLOTFELTER was born in 1843 in , Henry, Georgia. Wiley B. CLOTFELTER was born in 1845 in , , Georgia. He died in 1900. M vii James George CLOTFELTER was born on 27 Oct 1847. He died on 28 Jul 1909. M viii William Green CLOTFELTER was born in Oct 1849. He died in 1911. Annie Elizabeth CLOTFELTER was born in 1853 in Conyers, Newton, Georgia. She died on 17 Oct 1923 in Lithonia, De Kalb, Georgia. M x Peter Wilfaun CLOTFELTER was born on 23 Mar 1855. He died on 16 Jan 1930. Rev. William Thomas HOLLINGSWORTH [Parents] was born on 4 Jul 1850 in Conyers, Newton, Georgia. He died on 11 Sep 1923 in Lafayette, Chambers, Alabama. He was buried in W. B. Nichols Farm, now Layayette Cemetery, Chambers, Alabama. William married Mary Frances WILLS on 30 Apr 1873 in Atlanta, Fulton, Georgia. MC CARLEY, Sarah Martha "Sallie"
Mary Frances WILLS was born in May 1857 in , , South Carolina. She died in 1910 in Lafayette, Chambers, Alabama. She was buried in Lafayette Cemetery, Lafayette, Chambers, Alabama. Mary married Rev. William Thomas HOLLINGSWORTH on 30 Apr 1873 in Atlanta, Fulton, Georgia. M i Dr. David Wills HOLLINGSWORTH "Sr" was born on 20 May 1874. He died on 22 May 1965. M ii George Howe HOLLINGSWORTH was born on 19 Dec 1875. He died on 18 May 1949. F iii Mary Rebecca HOLLINGSWORTH was born on 19 Feb 1875. She died on 22 Dec 1972. F iv Mamie Rebecca HOLLINGSWORTH was born on 19 Feb 1878. She died on 22 Dec 1972. M v Alexander Stevens HOLLINGSWORTH was born on 9 Mar 1880. He died on 20 Aug 1961. M vii Julian Watt HOLLINGSWORTH "Sr" was born on 4 Jul 1885. He died on 27 Feb 1936. F viii Carrie Belle HOLLINGSWORTH was born in Nov 1888. M ix Morris Field HOLLINGSWORTH was born on 28 Feb 1892. He died on 16 Feb 1949. Rev. William Thomas HOLLINGSWORTH [Parents] was born on 4 Jul 1850 in Conyers, Newton, Georgia. He died on 11 Sep 1923 in Lafayette, Chambers, Alabama. He was buried in W. B. Nichols Farm, now Layayette Cemetery, Chambers, Alabama. William married Sarah Martha "Sallie" MC CARLEY on 26 Aug 1912 in , Chambers, Alabama. Sarah Martha "Sallie" MC CARLEY was born on 7 Nov 1870 in Buffalo, Chambers, Alabama. She died on 8 Sep 1943 in Lafayette, Chambers, Alabama. Sarah married Rev. William Thomas HOLLINGSWORTH on 26 Aug 1912 in , Chambers, Alabama. Aaron Monroe HOLLINGSWORTH "I" [Parents] was born on 28 Nov 1856 in , Newton, Georgia. He died on 23 Feb 1941 in Atlanta, Fulton, Georgia. He was buried in West View Cemetery, Atlanta, Fulton, Georgia. Aaron married Lelia Victoria FLOYD on 24 Oct 1883 in Atlanta, Fulton, Georgia. Lelia Victoria FLOYD [Parents] was born on 4 Sep 1863 in Athens, Clarke, Georgia. She died on 30 May 1939 in Atlanta, Fulton, Georgia. She was buried in West View Cem., Atlanta, Fulton, Georgia. Lelia married Aaron Monroe HOLLINGSWORTH "I" on 24 Oct 1883 in Atlanta, Fulton, Georgia. F iii Annie L. HOLLINGSWORTH was born on 26 May 1891. F v Ada Marie HOLLINGSWORTH was born on 22 Jul 1895. She died on 23 Aug 1973. F vi Mildred L. HOLLINGSWORTH was born on 22 Aug 1897. She died on 23 Aug 1973. M vii Frederick Law HOLLINGSWORTH "I" was born on 4 Aug 1899. He died on 2 May 1952. Ford S. HOLLINGSWORTH was born in Aug 1899 in , , Georgia. M ix Aaron Monroe HOLLINGSWORTH "II" was born on 5 Mar 1902. He died on 23 Oct 1946. F xi Ruth J. HOLLINGSWORTH was born on 19 Jun 1906. She died on 12 Mar 1990. George Dewey MADDOX [Parents] was born on 21 Jul 1898 in Atlanta, Fulton, Georgia. He died on 31 Dec 1971 in , Fulton, Georgia. George married Annie Lee GARRETT about 1923. Annie Lee GARRETT was born on 18 Apr 1904 in , , Georgia. She died in Sep 1984 in Atlanta, Fulton, Georgia. Annie married George Dewey MADDOX about 1923. Baby Girl MADDOX was born on 1 Sep 1924 in Atlanta, Fulton, Georgia. She died on 1 Sep 1924 in Atlanta, Fulton, Georgia. Eddie Joe MADDOX was born on 15 May 1936 in Atlanta, Fulton, Georgia. She died on 11 Mar 2005 in Douglasville, Douglas, Georgia. Coleman ORR was born about 1859 in , , Georgia. He died about 1885 in , , Alabama. Coleman married Biddie Ann HOLLINGSWORTH in 1881. Biddie Ann HOLLINGSWORTH [Parents] was born on 13 Sep 1862 in , , Georgia. She died on 14 Jul 1951 in Conyers, Rockdale, Georgia. She was buried in West View Cemetery, Atlanta, Fulton, Georgia. Biddie married Coleman ORR in 1881. M i Arthur M. ORR was born on 28 Dec 1883. He died on 4 Apr 1912. Eury Brannon Jack BEAM was born on 9 Mar 1866 in , Newton, Georgia. He died on 8 Mar 1941 in Atlanta, Fulton, Georgia. He was buried in West View Cemetery, Atlanta, Fulton, Georgia. Eury married Biddie Ann HOLLINGSWORTH on 20 Oct 1887 in , Fulton, Georgia. Biddie Ann HOLLINGSWORTH [Parents] was born on 13 Sep 1862 in , , Georgia. She died on 14 Jul 1951 in Conyers, Rockdale, Georgia. She was buried in West View Cemetery, Atlanta, Fulton, Georgia. Biddie married Eury Brannon Jack BEAM on 20 Oct 1887 in , Fulton, Georgia. F i Nora BEAM was born on 21 Aug 1888. She died on 17 Mar 1941. M ii George Albert BEAM "Sr" was born on 25 Aug 1892. He died on 2 Feb 1965. Joseph Stephens HOLLINGSWORTH [Parents] was born on 10 Sep 1871 in Smyrna Campground, Rockdale, Georgia. He died on 16 Jan 1954 in Atlanta, Fulton, Georgia. He was buried in Decatur City Cemetery, Decatur, Dekalb, Georgia. Joseph married Lennie Viola COWAN on 8 Oct 1895. Lennie Viola COWAN [Parents] was born on 5 Jun 1875 in , Milton, Georgia. She died on 14 Aug 1953 in Atlanta, Fulton, Georgia. She was buried in Decatur City Cemetery, Decatur, Dekalb, Georgia. Lennie married Joseph Stephens HOLLINGSWORTH on 8 Oct 1895. M i Leon Stephens HOLLINGSWORTH was born on 13 Sep 1896. He died on 16 Nov 1974. Edith Viola HOLLINGSWORTH was born on 13 Feb 1898 in Atlanta, Fulton, Georgia. She died on 18 Aug 1929 in , De Kalb, Georgia. M iii Hugh Weldon HOLLINGSWORTH was born on 12 Sep 1899. He died on 20 Nov 1980. M iv George Washington HOLLINGSWORTH was born on 7 Jan 1901. He died on 21 Apr 1980. F v Nancy Malinda "Linda" HOLLINGSWORTH was born on 23 Sep 1903. She died on 31 Dec 1987. F vi Edna Carolyn HOLLINGSWORTH was born on 28 Jan 1906. She died on 18 Sep 1993. Fay Louise HOLLINGSWORTH was born on 8 Mar 1908 in Atlanta, Fulton, Geogia. She died on 13 Mar 1914 in Decatur, De Kalb, Georgia. F ix Mary Frances HOLLINGSWORTH was born on 15 Jun 1912. She died on 7 Aug 1989. F x Margaret Helen HOLLINGSWORTH was born on 12 Sep 1915. She died on 11 Apr 1988.